Howdy partners! 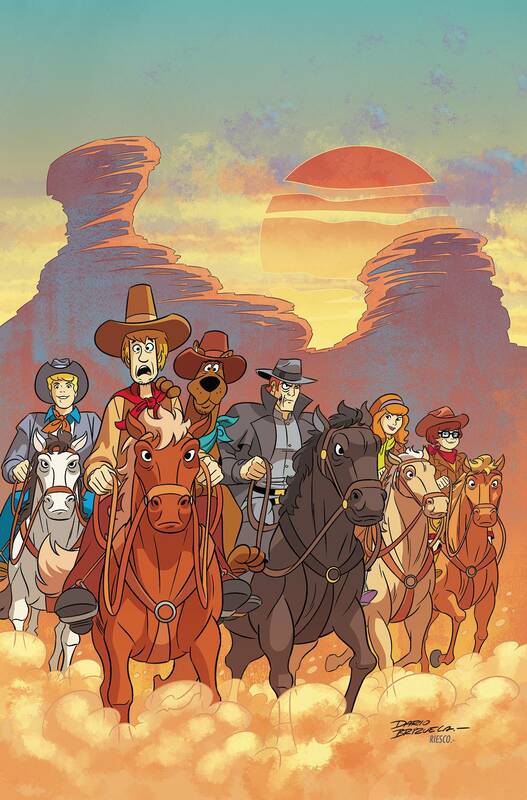 There's a Wild West mystery to be solved by a crew of city slickers and their dog. Ya see, the cattle have skedaddled, and there's a ghost in cahoots up in them there hills. Can our sleuths solve the mystery and send this yokel to the hoosegow? Or will these greenhorns miss the hoedown? Time to pony up. Giddy up, li'l Scooby, let's go!